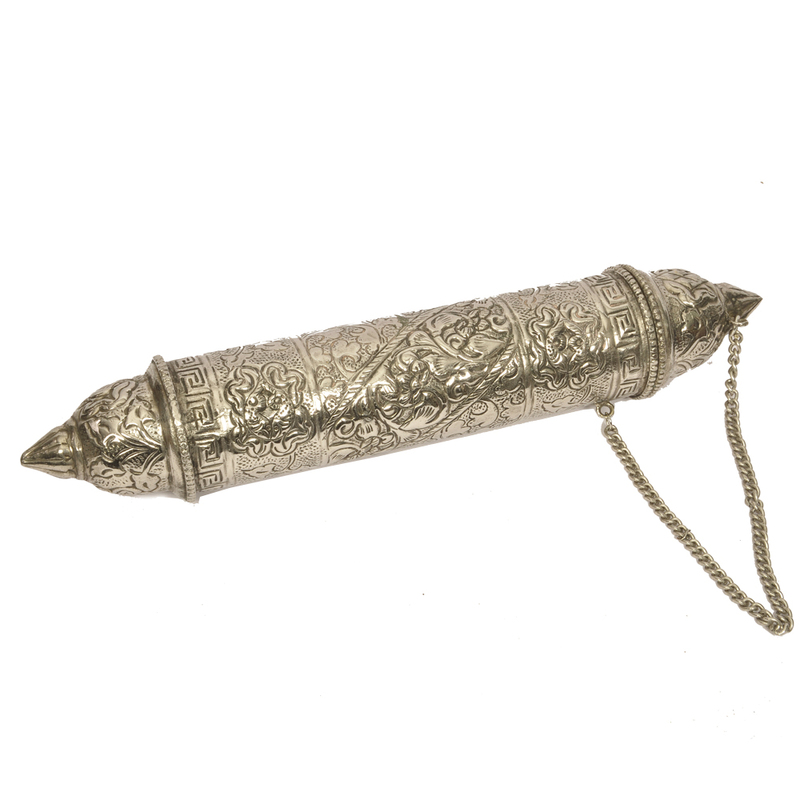 The oxidized invitation scroll is a spectacular one made up of white metal. Not just the usual invitations, but are special scroll invitations housed in Read More..different elegant handcrafted metal cases. Best for wedding, debut and other special occasion. The scroll is cylindrical in shape. It has a small opening on the top. The rest of the body of the farma is detailed with intricate artistic work. Roll your invitation up into the scroll holder. When your guests pull out the invitation, it will roll out elegantly like a scroll. Show Less..